Why explain to people the health benefits of handwashing with soap, when people don’t even have running water at home? SaniTap Co-Founder Adriaan Mol, based in Nairobi, Kenya, was increasingly frustrated with what he saw in the field. He developed a solution. Even the UN took notice. With the help of other handwashing experts, Mol developed a solution under the name ‘SaniTap’. It is basically a plastic water pouch with a soap net attached to it. A spout delivers the right amount of water for handwashing, and closes with an upward tap with the back of the hand. This avoids contamination of clean hands. The bag has a handle, for easy transportation from a water point to the home and beyond. It must be one of the simplest hygiene devices available - yet one of the most effective. 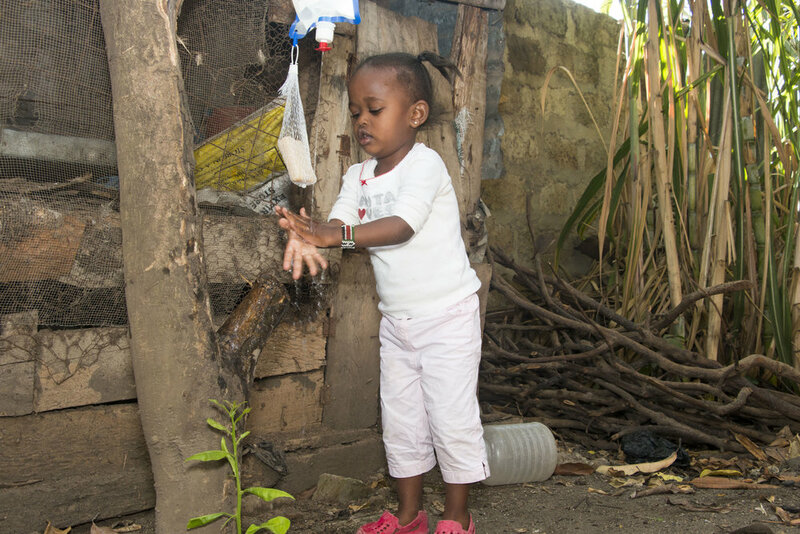 Research shows the proper handwashing reduces the risk of diarrheal diseases by 47%. Maybe that is why a UN agency took notice and started to use the SaniTap in one of the largest and most complex emergency areas in Africa. "Washing projects consist of three main parts: providing clean drinking water; safe disposal of stool and hygiene promotion", explains Mol. "The first two parts have clear hardware components: taps, pipes and toilets. But the hygiene promotion had nothing, until now. The SaniTap feels like a missing link".